I'll nearly have to rename my blog soon. I can't keep it as A Catholic homeschooling Family, when we aren't homeschooling in a few weeks. I'll have to think of a new name. How has your year been. I can't believe its near the end of September. Brid has 2 weeks off dancing, but I have insisted she continue her school work. And I why is that you ask? We took a few weeks off to explore UK and Europe, in August. As she is so close to completing her assigned books, I asked her to continue studying through the holidays. So what shall I name my Blog. 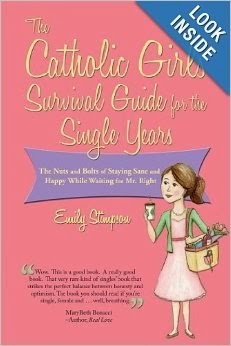 Maybe something as simple as Our Adventures as a Australian Catholic family. Hmm not sure. Will get back to you on that one. Well what a journey we have had over the past few months. half way through Term 2- June, this year, Brid got quite unwell. we couldn't figure it out. We knew it wasn't stamina, or endurance, so we were perplexed. She pretty well just stopped. She had terrible headaches and dizziness. My own research just wasn't showing up consistent information. So we just had to rely on God and his timing as always. She tried very hard to continue with her hours at ballet, but it was useless. She couldn't do any school work,or activities. She lay on the lounge most days, not able to do anything but sleep. Apart from the usual visit to the Doctor, we also sort assistance from our homeopath. Long slow process. Very hadr for me as a mother. As Brid got better, she could watch movies, and she was still keen to learn, so we turned to movies, dvds as teaching tools. We had an old copy of the Human Body and as we were studying it this year, I suggested she watch it. It opened up so many discussions and helped us brooch topics that were a little hard to discuss. It was a very useful time. a new learning time and a lesson in trusting God completely. He knew what he was doing. We didn't. A few months on and Brids back to Ballet and to her 20+ hours a week. She's stronger, fitter and more savvy to how she ticks. Well its been quite a big term. Lots has happened. Brid has been attending Her regular ballet classes 5 days a week and loving it. Her school load has been reduced to allow for the extra ballet hours. She is however, continuing to power on with it. She hadn't up her Ballet assignment on a ballet of her choice at the end of the term. Hours of research went into her assignment. She chose to do it as a newspaper review. I was quite impressed. I will post an excerpt soon. For brids formal studies she is powering through IEWs Elegant Essay. And Life of Fred-Advanced Algebra, Chemistry completed. As this term was just to get her into her groove, We took it slowly. Next term we add Apologia Anatomy and Physiology. This will really be beneficial to Brid for her Ballet studies. During all of this, Brid attended her first Eisteddfod for the year. Encore. Her first Ballet teacher was the adjudicator. She was also my Ballet teacher. It was lovely to see her. Brid danced and placed in 2 of her 3 dances. I was delighted with her. She wore her new tutu. Designed for her. Would you like to see it!!!! Well its been two weeks, maybe three since we commenced school for the year.. I have tried to keep the school load as light as possible. Some subjects are progressing quicker than others, but I am placing no pressure on Brid. She is working at her pace. This workload leaves Brid free to warm up and stretch before her daily ballet classes. We are working with another family, exploring Art & Artists. Its not only to learn about these Artists but to have girl time with a close friend. That's so important in the world of ballet. It can be extremely competitive. Brid is reading through a gorgeous book she chose at a Catholic bookstore in Melbourne, certainly not on any lists, but she's enjoying it, nevertheless. Its full of wonderful wisdom although it is pitched at the older teen,its certainly a great inspiring book that she'd recommend. The best part for me is that she chose it, not me. Makes me proud. So with a balance of school load and allowing her plenty of down time after Ballet classes, a good nutritious diet we have settled in well to our year. Its bound to get quite busy, as the eisterfodd season is upon us. This year Brid is attending a big Competetion, AICD. Its a chance to win a Scholarship to a prestigious Ballet Summer School in Houston USA. Just to enter will be amazing experience, no matter the outcome. We are still trying to Keep God as our focus and At times, I must confess this can be difficult as the world creaps in. So spare a prayer for Brid as she enters these Competitions. Her intention always is to dance for God. How is your year going so far? Have you met our adorable little sweetheart Chaines. ? She is the most gorgeous little girl. We love her to bits and are delighted that we found her. I had been looking for a Puppy for a few weeks and came across a family close by who were selling Golden Retriever puppies. Brid was at Ballet, Dermot was Mowing. I couldn't resist. I stopped Dermot mowing and said 'lets go see this pup." With a slight hesitation he got himself organised. We arrived at the breeders house to find the most adorable 4 week old pups. 8 in total. 4 boys/ 4 girls. I had my heart set on one in particular, but Dermot wasn't convinced. I put a little ribbon around the little one that appealed to me. Lets say by the time we picked up Brid from Ballet, he was convinced and were choosing names. I took responsibility of researching everything we would need for her. Now a name was pretty important and we had many. We short listed about 5. Brids a dancer and loves doing Chaines'. So why not use this name. So her name is pronounced Shee-nay. So the day came and we collected her from Her owners and she said goodbye to her Mum- Chelsie, Dad- Charlie and brothers and sisters. She was the first one to be collected. Several puppies were being flown interstate. The owner gave us a blanket with her parents scent on it, We had a little toy that we got her parents and siblings to play with, its still her favourite toy to date. She only has it for her bedtime. You can just see it in the photo with Brid on the way home. She was so cute, but quite distressed when she realised she was alone without her pack. She needed to adjust to her new pack. When she first came to live with us, she would bury herself under all the blankets and under her bed because she was used to being slept on, stepped over and stepped on by her Brothers and Sisters. We had several bad nights sleep with her howling. we settled her down and she has adapted to our family really well. She comes driving with us in the car when I drop Brid to Ballet or if I need pet supplies, for either her or Bailey- our cat. She lives inside but loves the yard to run in. I have a dear Friend Bev, who helped a lot with her when she first came home. We talked frequently and still do. She is a Dog handler in the UK. She loves her bones and gnaws for hours. Dried bones are the best for her, less messy and smelly. We began training her as soon as we got her home. She responded really quickly. You might think this a little fast but she needed to know our commands and we needed to know her signals. She still does naughty things- Dermot says there not naughty, she is just untrained. !!! She absolutely loves the pool. She jumps in whenever We let her. So much more to say, More to follow I am sure. What will This year entail??? What will our school year look like this year? Now that is a question I need to answer. Brid is old enough now to contribute to the planning of her School week. She has done it for years, but not by herself. She actually enjoys planning her week. I wrote out what areas need covering and what books etc we might use, and she did the rest. Now you would think that Ballet training would be all practical wouldn't you? Well when they start at a Full Time school, there is theory as well as the need to learn about there bodies and nutrition, ballet history and various other topics. 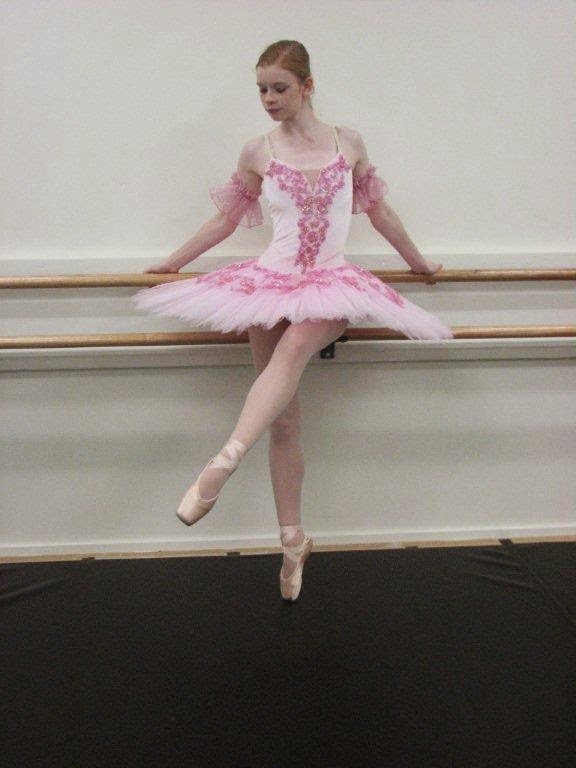 So our aim over the next 2 years is to further ground her in the areas she'll need for academic study of Ballet. Chemistry- John Hudson Tiner(reading mostly and notebooking when needed). Then it will be time for Apologia Advanced Biology- The Human Body.Its an excellent course and one I am pleased she will study. Brid and I have sourced various Literature books to read. Ballet Studies and Irish History. ( these are 2 areas Brid has chosen to study herself). Brid is looking at various Ballets, dancers, choreographers, companies and general history. Irish History is something we are putting together ourselves. 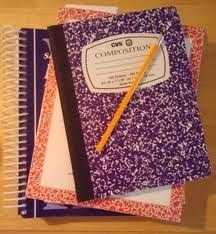 I wrote out a few topics she might like to cover and she will gather her own ideas as well. Whatever she does it will be unique and her style. We discussed each subject and how it would work with the Ballet hours she is doing. It's not only the hours, but the time it takes to get ready, drive there, arrive half hour before class to warm up and stretch. Therefore, her school day on 4 days is just 2 hours. She well and truly makes up for it on Mondays as she has the whole day to get her studies done. So all this needed to be considered when Brid planned her school week. We are working slowly as Ballet is quite strenuous and needs lots of energy and stamina. The curricula we have selected is aimed at assisting Brid in her further studies: for example, Anatomy and Physiology will be great grounding for further studies, as will The elegant essay. She should be able to write a well set out essay as required in her Full Time years. Her Ballet Studies will be part of the folder she will put together for further reference. It is quite exciting preparing Brid in these latter years of her schooling. Its more than just academics, Its socially, emotionally and spiritually supporting her and preparing her. 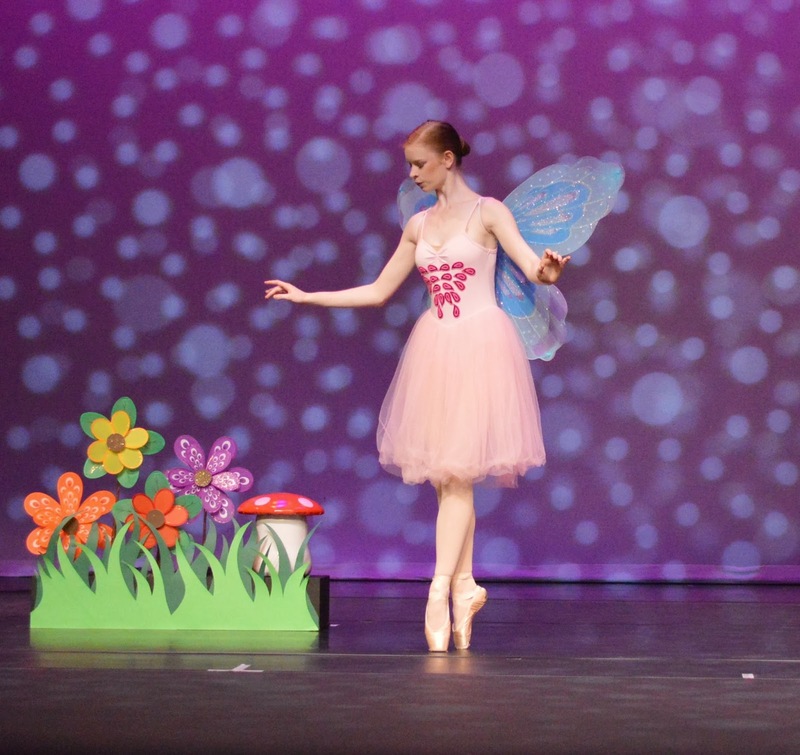 Brid as the lead butterfly in the Garden scene -2013 concert. January is always a huge month for us. The first week is always a 'down' week. We totally relax, begin to pack away our Christmas decorations and clean and dust as we put items away. I make lists of what we need to take. We pack for our busy month, re house our animals and make our house ready. Our first week is at Mcdonald College in North Strathfield Sydney. Its an amazing ballet summer school with outstanding teachers from all over the world. Christopher Powney - Artistic director of Royal Ballet. He and his wife were among the teachers. Its a big week, long hours, very tiring, but quite rewarding as it challenges the dancers. Its a great networking week for Brid. We had 3 students from our Ballet school attend. They certainly came back to the school inspired. Brid and I stay with our dear friends 40 minutes drive away. They have generously allowed us free access to there home 3 years in a row. Its a true Blessing. Our next week we spent in the company of the Disciples of Jesus community and there religious order-Missionaries of Gods Love. It was such a wonderful week. So lovely to be there among Christ filled men and women and children. We arrived very tired, broken from a quite tiring and stressful year and left 7 days later totally recharged. We were tired as it is again early starts and late nights, but that's the beauty of the week. The Holy Spirit was very powerful and worked on each individual person at a different rate, depending on our needs. I love the praise and worship, Mass daily, Divine Office twice a day, Adoration, lectures, seminars and hanging out with all these gorgeous people during meals and snack times. The teen girls around Brid's age were so gorgeous. They supported each other and held each other up to God as each needed. It was a beautiful witness. They formed a little community called Sophia sisterhood. They had 2 young women who mentored them and encouraged good Godly practice- modesty, Purity, and so many other lovely qualities. Dermot and I watched with awe and wonder of Gods Love in this little group. So after we left refreshed, We headed to catch a flight to Melbourne so Brid could attend the Australian Conservatoire of Ballets Summer School. This is the syllabus her ballet school use. It was with much excitement and anticipation that Brid attended this summer school. It was wonderful to meet with Christine Walsh and her Husband. The administrative staff and the ballet teachers. Brid learnt a great deal and has taken this enthusiasm back to her Ballet school. So while Brid danced, Dermot and I watched the Tennis at Rod Laver Arena, took trams and trains all over Melbourne. Found gorgeous little dresses for Brid, walked along Southbank and had a river cruise along the Yarra, learning the little secrets of the Yarra. We rented a little apartment in Parhan very close to the direct tram line to the ballet school. Brid fell in love with Melbourne and can't wait to go back. And actually nor can I. So what do you think we did when we got home from 3 busy full weeks? Unpacked and just relaxed...It was the best thing to do. It was our plan all along to have that week resting and relaxing. cuddling our Puppy, our cat and rabbit. "Be Cheerful. Jesus will take care of everything. let us Trust in Jesus and Our heavenly Mother, and everything will work out." I am writing in a new place if you would like to follow our journey further? Do Whatever He Tells You.